The ESEA systems are built from modular hardware components and modular application software. 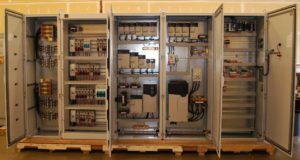 Any number of these modules can be combined to provide an optimal solution for a specific vessel’s requirements. 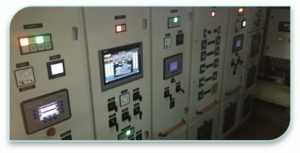 Ikonika Corp offers a wide array of equipment for low-voltage applications including generator control, distribution, and outdoor switchgear. Depending on the application, our products can be built to various UL standards. Our major strength is in how we put these wholly manufactured products together to create a Custom system for your unique Customers. 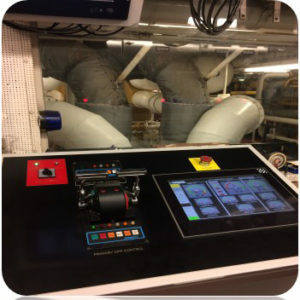 ESEA® automated solutions are installed on ships of many sizes and purposes, from simple process machine system control to centralized monitoring and control consoles for a variety of marine and industrial factories. Our goal is for the operator to have total control of the processing factory. 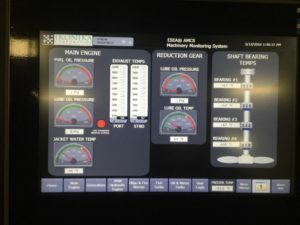 We concentrate hard and, make sure our custom PLC programs are continually monitoring the state of the factory and operates safety features at its best.